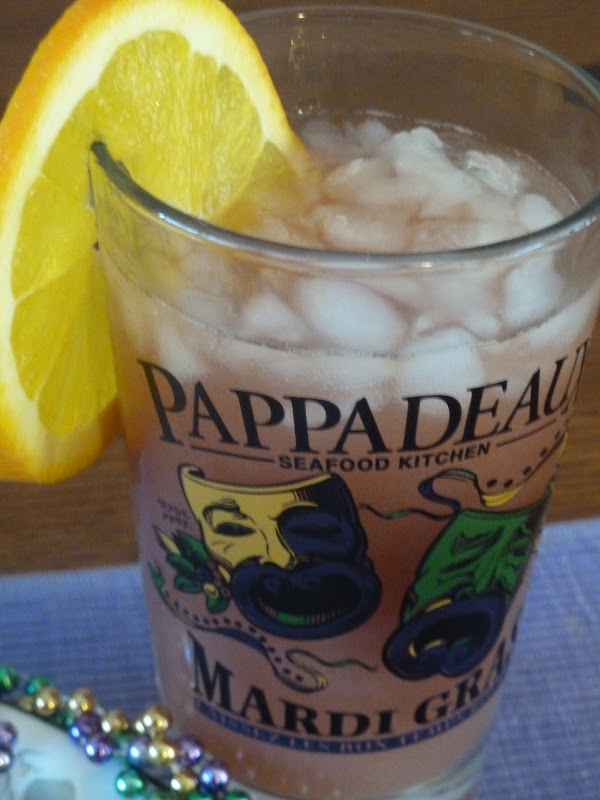 Baking and Cooking, A Tale of Two Loves: Cajun Jambalaya for Mardi Gras, "Fat Tuesday!" 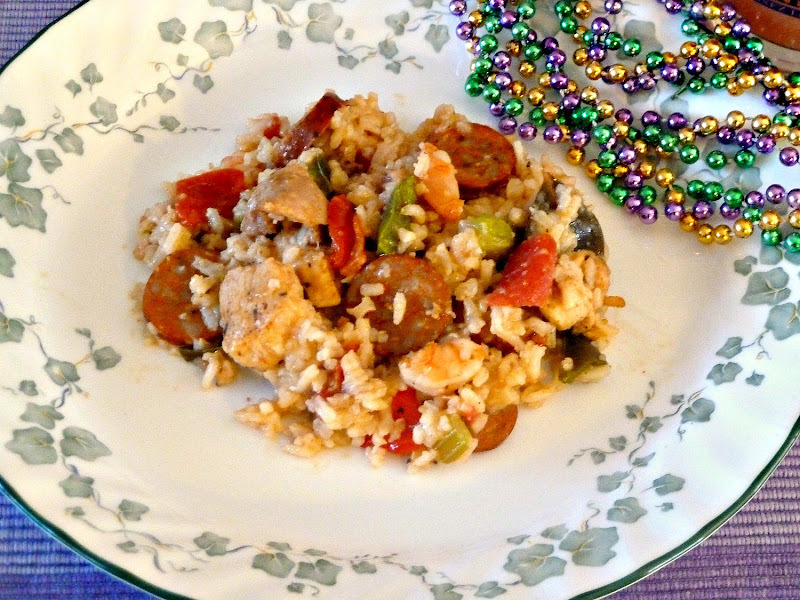 Cajun Jambalaya for Mardi Gras, "Fat Tuesday!" Tomorrow is Mardi Gras, the day before the beginning of Lent, in the Christian world and we try to make something festive for the occasion. We made Jambalaya, which is a versatile dish that combines cooked rice with a variety of ingredients including tomatoes, onion, green peppers, celery, and almost any kind of meat, poultry or shellfish. The dish varies widely from cook to cook. It's thought that the name derives from the French jambon , meaning "ham," the main ingredient in many of the first jambalayas. We used a recipe from Emeril Lagasse, from the Food Network. I am linking up this recipe with Lizzy @That Skinny Chick Can Bake , and the Holiday Blog Group. Stop by and see Lizzy, and say Hi! This version of Jambalaya has chicken. 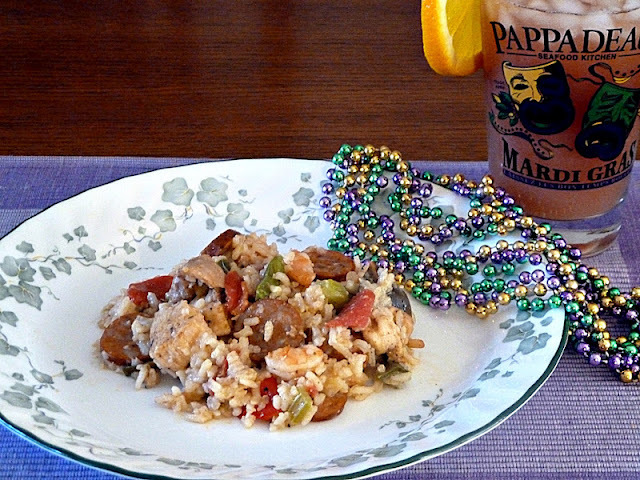 shrimp, and Andouille sausage, rice, along with green pepper, onion, celery, the "Trinity " of Creole cooking, tomatoes, herbs and spices. We used Trader Joe's Smoked Andouille Chicken Sausage in place of the regular Andouille sausage. The whole dish comes together quickly, and is a one dish meal. We doubled the recipe. You can make this colorful dish as spicy as you want, and it is so delicious with all of the layers of flavor There is even a recipe for Creole Seasoning. To top off your Mardi Gras celebration, you can make King Cake, which I made last year, and read about all of the celebrations and the Cake. Laissez Les Bontemps Rouler, Let. the Good Times Roll! Enjoy! Now, you could make a Hurricane , or you could make a quasi Hurricane like we did. We had everything but the 151 Rum. If I had put in the 151 rum, I wouldn'y be typing now, he he, that's for sure. In a bowl combine shrimp, chicken and Creole seasoning**, and work in seasoning well. In a large saucepan heat oil over high heat with onion, pepper and celery, 3 minutes. Add garlic, tomatoes, bay leaves, Worcestershire and hot sauces. Stir in rice and slowly add broth. Reduce heat to medium and cook until rice absorbs liquid and becomes tender, stirring occasionally, about 15 minutes. When rice is just tender add shrimp and chicken mixture and sausage. Cook until meat is done, about 10 minutes more. Season to taste with salt, pepper and Creole seasoning. **, if desired. If you don’t have the store bought seasoning, you can make your own, with the recipe below. Fabulous job! I have never made any of these dishes! YUM! The last time I made jambalaya, it was way too spicy. Next time I will cut the cayenne. Your dish does look tasty and a little bit thicker than mine, so I may try this version next time. Also, the cake as well as the hurricane just makes a complete Mardi Gras meal! Well done. Great job...that's some AMAZING looking jambalaya! I'm going to be on local TV tomorrow morning to make my Kitchen Sink Jambalaya for Mardi Gras. I admire you making a King Cake...I just buy mine at the local bakery! Wendy, Too bad I don't live close to you, so I could see you on TV. Can't wait to read your post. 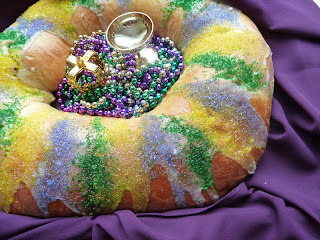 If I can make King Cake, you can! Look at your wonderful Mardi Gras ideas...but the jambalaya is really making my mouth water! So fabulous, Becky...and thanks for the shout out!!! The Jambalaya is delicious with all the layers of flavor and heat.